Boston is getting a new plan to combat the effects of climate change. Mayor Marty Walsh on Wednesday unveiled his “Resilient Boston Harbor” proposal. Walsh says his plan is not just a comprehensive strategy to protect the city from climate change flooding, but a transformative vision that will add 67 acres of greenspace to Boston’s 47-mile shoreline. The mayor couldn’t say how much the harbor resiliency plan will cost, but says it’ll require funds from the state, federal government, companies and philanthropies. The idea is to spend millions to save billions. “The investments you make now are the savings of tomorrow,” Walsh said. 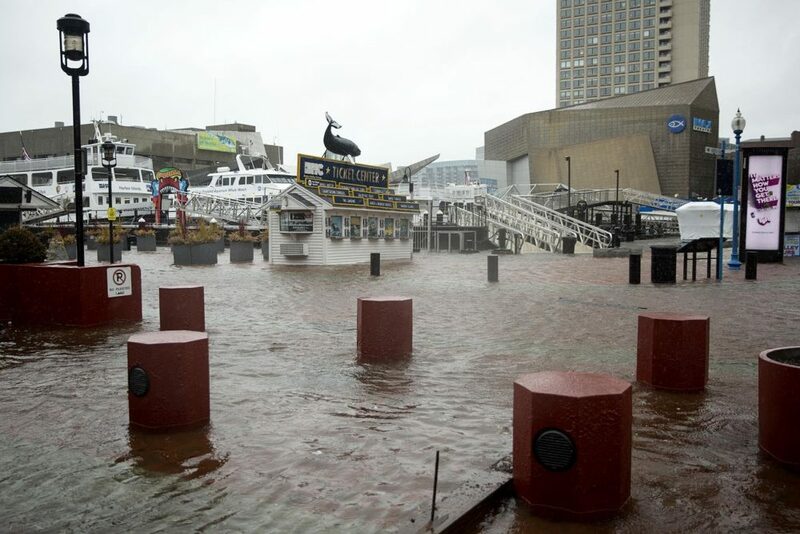 One example the mayor gave was spending $160 million to make East Boston more resilient to flooding, saying it could prevent $450 million in damages in the future. The mayor all but buried the idea of building a barrier in the harbor. That’s after a feasibility study from UMass Boston researchers advised against such a barrier. This segment aired on October 17, 2018.